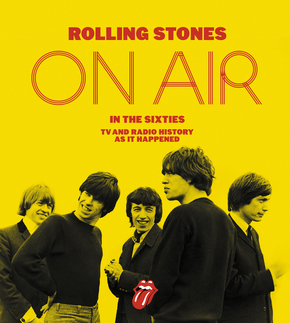 The first official, in-depth history of the Rolling Stones told through the band's television and radio broadcasts-appearance by appearance-published to tie in with the global release of a DVD containing recently discovered, never-before-released footage of the Stones on TV, in front of and behind the cameras. The Rolling Stones on Air in the Sixties is a unique chronicle of the band's rise to fame during the 1960s. It begins with a letter the BBC received from Brian Jones in January 1963, politely requesting an audition for "The Rollin' Stones Rhythm and Blues Band," and ends with the story of the group's performance of "Let It Bleed" for BBC's end-of-the-decade celebration television program Ten Years of What. From their first television appearance on Thank Your Lucky Stars!, sporting matching houndstooth suits at the insistence of manager Andrew Loog Oldham, to the louche rockers who performed at a televised free concert in London's Hyde Park in 1969, The Rolling Stones on Air in the Sixties reveals, year-by-year, how the group rose from obscurity to dominate rock-and-roll. Throughout, the Stones look back at their career-defining broadcasts, sharing their individual recollections about the music, the clothes, the fans, the rivals and friends, and the impact they had on the generational divide and the world around them. Viewing the band from a fresh and unusual viewpoint that makes their story both immediate and vivid, The Rolling Stones on Air in the Sixties offers invaluable insights into one of the greatest great rock 'n' roll bands the world has ever seen.